"Land Forces of RKKA, On the Distant Approaches to Moscow: Vyazma - Bryansk Strategic Defense Operation, 30 September - 30 October 1941". 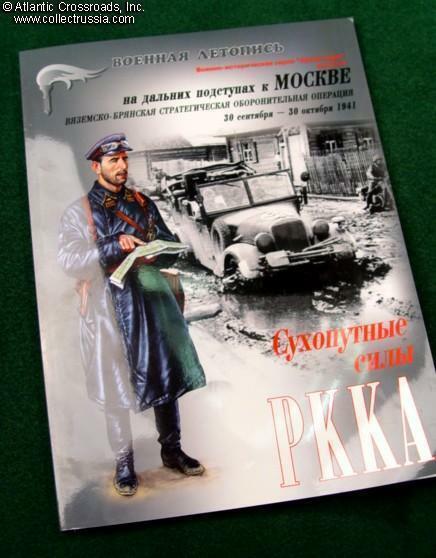 "Land Forces of RKKA, On the Distant Approaches to Moscow: Vyazma - Bryansk Strategic Defense Operation, 30 September - 30 October 1941". In Russian with English captions. I. Moschansky, E. Kharitonova. C. 2003, Moscow. 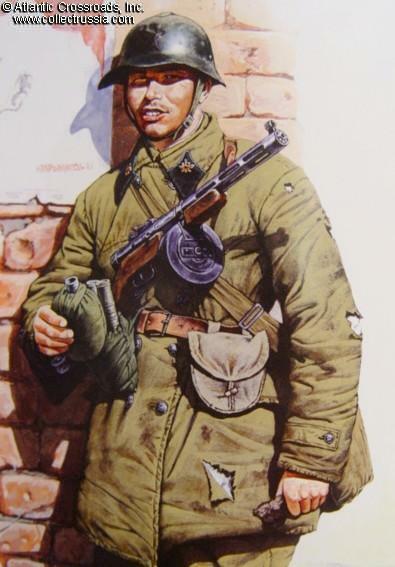 Soft cover, 72 pp, over 120 b/w photos, 3 tactical maps and a number of superb color plates depicting Soviet soldiers and equipment. About 8.5" x 11". Most photos have not been published before. The book covers early stages of the Battle of Moscow, starting with the beginning of the Operation Taifun, when Nazi armored thrust created a 500 km gap in the Soviet lines. Despite its desperate resistance the Red Army couldn't stop the German drive to Moscow at that point. 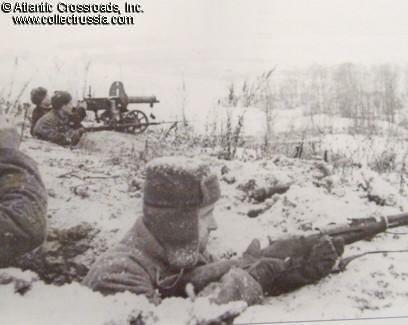 It however succeeded in wearing down the manpower and equipment of the Wehrmacht to the extent that made possible the success of Soviet counteroffensive in December 1941. English translation of the photo captions is somewhat fanciful (the reader must be aware that what's called "1931 vintage" in English translation really means "Model 1931" in the original Russian version). 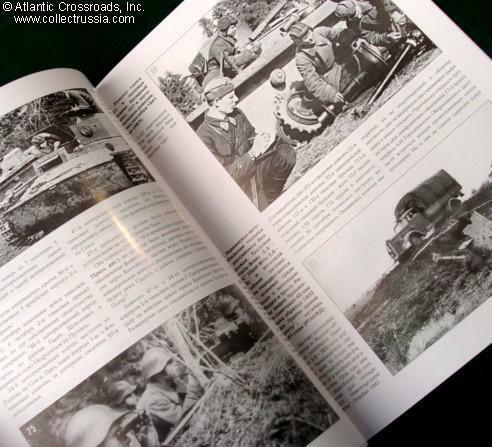 All-in-all, an excellent publication, with great amount of order of battle information, outstanding close-up photos of uniforms and equipment, and nice color illustrations of Red Army soldiers and equipment in the Fall of 1941. This book has much to offer to a military history historian, a uniform collector and military vehicle buff alike. In excellent condition, shows light shelf wear to cover.